Tomorrow I head for Oklahoma, my mother’s home, where we will lay a headstone in her memory at the Osage cemetery at Grayhorse. This requires special permission and my family is grateful to the elders for their endorsement. My mother took me to the cemetery my first trip to the reservation, and we marveled at the variety of markers and memories of family members and distant cousins. Some names appear over and over, like Big Heart and Tallchief, while others seem trapped in a two-foot space, never to be used again. We noticed markers for babies and children, and saw tall obelisks—larger than any living being—and modest headstones with few words. Many markers have Christian themes, with references to Jesus, angels and heaven. This seems counter to the stereotype that Indians derive their spirituality from nature, but many Native Americans consider themselves Christian, and the Grayhorse cemetery reflects this. My guess is that the stereotype emerges from the bulk of mediated images that capture a thin slice of Indian history: the mid and late 1800s. This is the period where most of the movies and novels arise—when skirmishes over land holdings, treaty-making, Custer’s battles and Wild West shows dotted the media landscape of Indian identity. Truth is that Christianity gained a foothold in numerous Indian communities. Sometimes Indians incorporated Christianity into their belief-systems, resulting in a mash-up of Indigenenous ways-of-knowing with Judeo-Christian ways-of-knowing. Yet Indians who adopted Christian value systems, like the Osage, were faced with the dilemma of how to reconcile the new beliefs with the deeply held beliefs about relationships with human people, animal people, plant people, rock people, tree people and the spirit people. Such beliefs rarely meshed seamlessly. The Osages, for example, still retain their relationships with spiders. 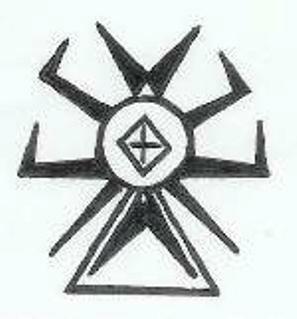 The tribal website relates the old tale of how the spider became an important symbol. While an Osage leader was searching for an image to represent his people he stumbled into a spider’s web. When asked, he explained to the spider that he was scouting for an appropriate symbol for his people, and was surprised when the spider suggested he adopt the spider. “Why do you think you would make a good life symbol for a gens of the great Osages?” asked the leader. The spider’s power emerges from the ability to have her home with her at all times. I consider spiders my relatives and won’t harm a spider. My children think I’m nuts. This entry was posted in Indian, Native Science, Osage, science. Bookmark the permalink. Either people believe there is current or people do not believe there is current. Knowing the current is religion , knowing the use of current is science, Believing…. and not believing ………both are philosophies.